Imagine being one of the first residents in Detroit’s newest urban luxury riverfront residences. Stand on your private balcony at Waters Edge and see how you feel. 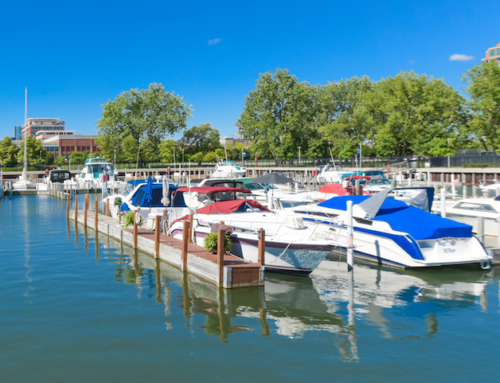 Take in the magnificent views of the tranquil Detroit River, Belle Isle Park, Downtown Detroit’s skyline and the river skyline of Windsor, Canada. Be a part of an extraordinary resort-lifestyle. Waters Edge is part of the Harbortown master community – a private access 35-acre community featuring beautiful landscape, walking paths, tennis courts, private marina and lakes. Experience direct access entry to Detroit’s Riverwalk – a vibrant, welcoming public place that you can enjoy exercising, attending special events, viewing public art or simply relaxing. Visit us at WatersEdgeDetroit.com for more information about Waters Edge.